The LloydsPharmacy brand is well known to millions of UK consumers, with an established heritage of over 40 years of trading in over 1,600 pharmacies. The company, which is owned by the Celesio Group, is one of the world's leading international service providers within the pharmaceutical and healthcare market. The LloydsPharmacy brand is now one of the largest pan-European Pharmacy chains, with operations in over 12 countries such as the UK, Italy, Sweden and now in Ireland. 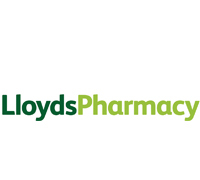 Previously known as DocMorris Pharmacy, the group rebranded to become LloydsPharmacy in September 2012. There are 74 branches across 16 counties with the most recent opening in Tullamore Co. This store is the company's first franchise store with the second franchise launching in October.